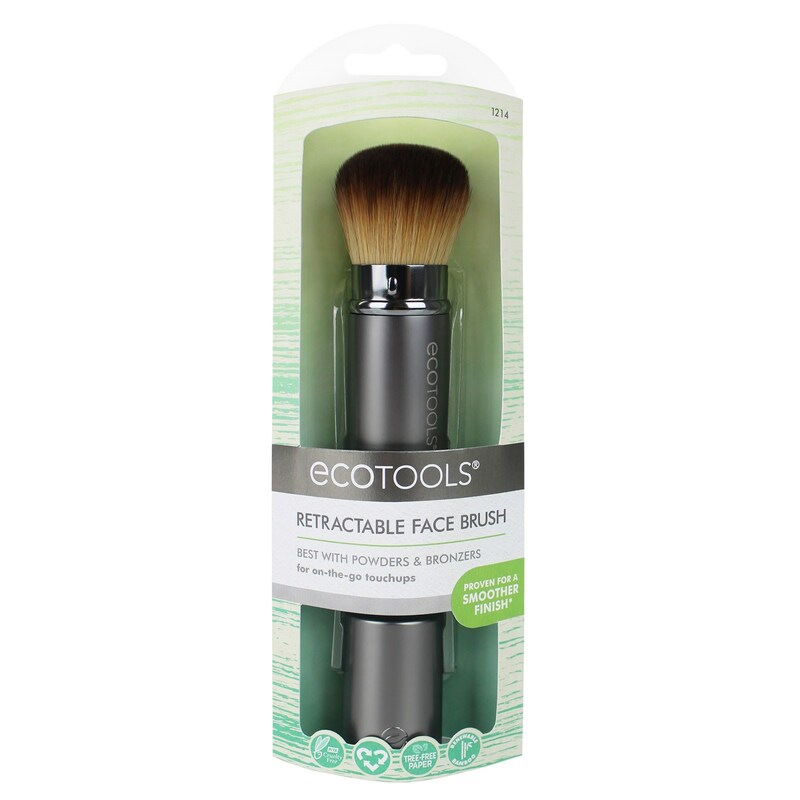 This versatile brush can be used with powder, blush or bronzer for a fresh complexion anywhere! Use the cap to easily cover and bring along for on-the-go touch-ups. 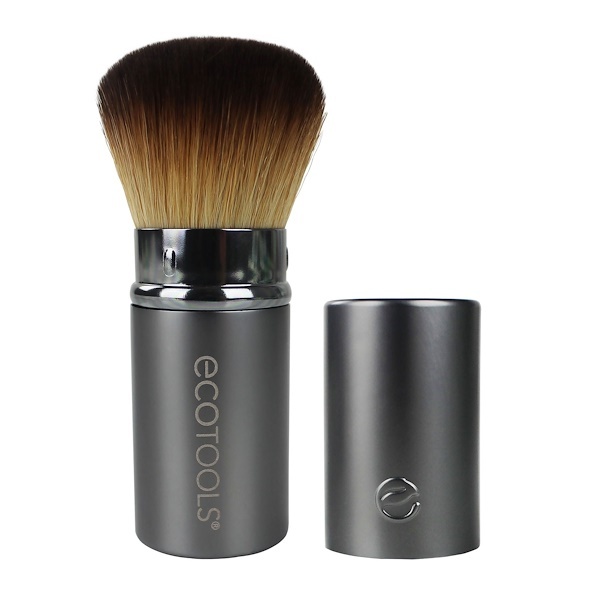 Retractable Kabuki brush is made from soft, cruelty-free bristles and has a recycled aluminum case. 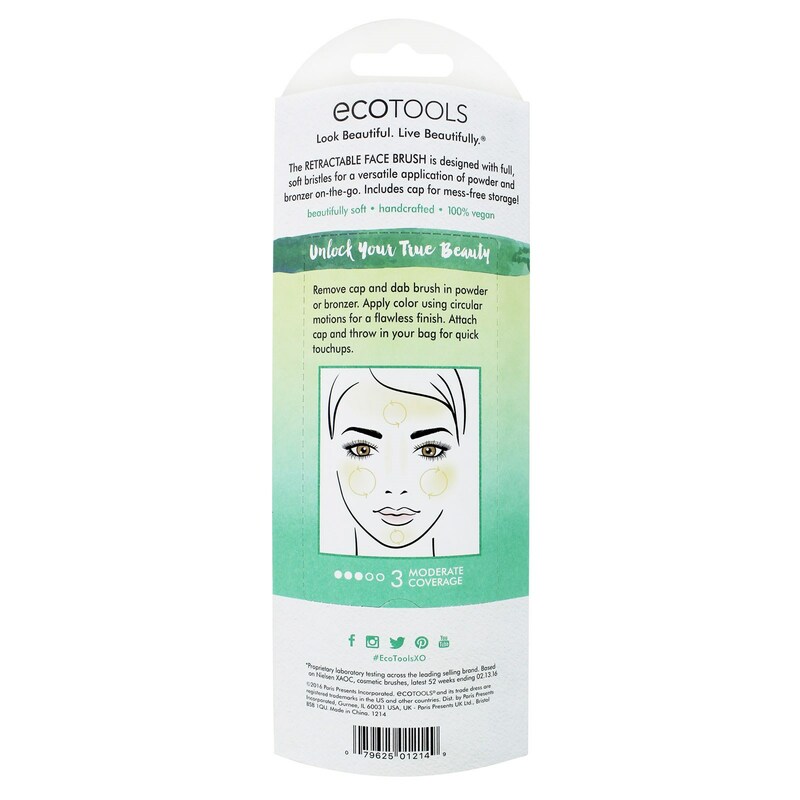 Our reusable eco pouch is made with natural materials & EVA. EVA is free of phthalates and PVC.